T20 has been the most entertaining and loved format of cricket of the past decade. Being the quickest of all, it engages people thoroughly over the course of three hours. The occurrence of ICC World T20 every two years shouldn't be surprising, considering it's one of the most financially-viable options for cricketing boards. In fact, ICC recently granted T20I status to all of its 104 associate nations. This wonderful step will assist ICC in strengthening the sport's presence in more countries and help the sport to grow simultaneously. Twenty20 is considered the game of the young generation. The agility, reflexes and fastness of the game yearn for fresh faces and new cricketers at all times. Any organization, in order to survive for a longer period, needs to develop strategies for keeping youngsters at the crux of everything. They not only carry the legacy forward but also maintain the dignity of the sport. This bowler fits very well in Bangladesh set up. Experienced players like Rumana Ahmed and Jahanara Alam, along with skipper Salma Khatun, have great chemistry with each other. They complement each other really well. Somewhere, Nahida owes a huge chunk of her success to these seniors. The 18-year-old slow left-arm bowler has been among the highest wicket-takers for Bangladesh in the last couple of seasons. Nahida was the stand out performer for Bangladesh in the very first match, where she made her debut against Pakistan. 4-0-17-2 were the figures she returned. She was instrumental in Bangladesh's Asia Cup 2018 victory over India at Kuala Lumpur in the final of the tournament. In her quota of four overs, she just gave away 12 runs and cramped the Indian batsmen for space. In recently released T20I rankings for women, she stands at No. 9 in the bowlers' chart. Akter's vital contribution in the World T20 qualifiers can't be neglected as well. She took seven wickets in five matches at just 8.57 apiece. 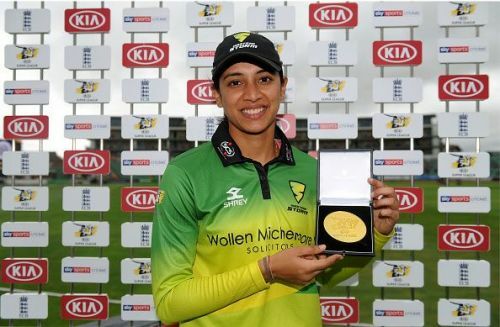 Playing good cricket consistently has rewarded her with a place in Bangladesh's squad for the marquee tournament.